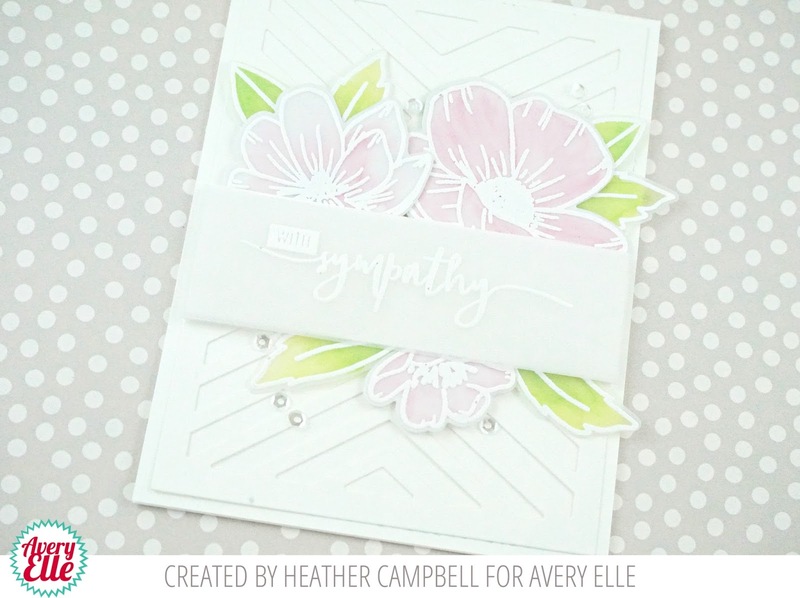 It's Loads of Wishes week and don't you just love a beautiful sentiment set?!?! This one is stunning and I know will be a perfect set for my crafty stash. For my card, I paired a heat embossed sentiment with flowers from Handrawn Florals Clear Stamps (ALSO THUD, THAT SET IS GORGEOUS!!!) and a Chevron Mat die. 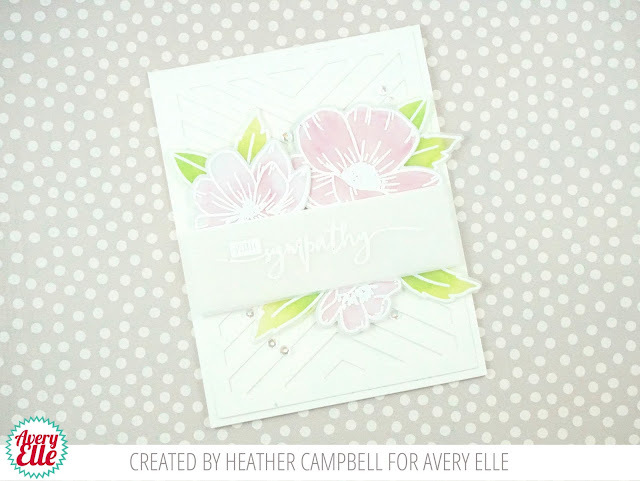 To give the florals color, I stamped and heat embossed the images on vellum and then on the reverse side colored with my copics to create a very soft coloring. Definitely try this technique - it's so fun! Thank you so much for stopping by and sharing part of your day with me. This is so light & ethereal, just beautiful! Thank you for sharing.